Winter Haven is at the headwaters of both the Peace River watershed and the Floridan Aquifer. This means that the only water available for both public water supply and lakes comes from rainfall. Because the lakes are interconnected with the aquifer, the health of groundwater resources and lakes is of paramount concern. The past 100 years has focused on water as a waste product, but now we realize that water resources are interconnected and all aspects of water have to be managed as one system. There are 50 lakes that are located either within or adjacent to City boundaries that cover an estimated 5,200 acres. 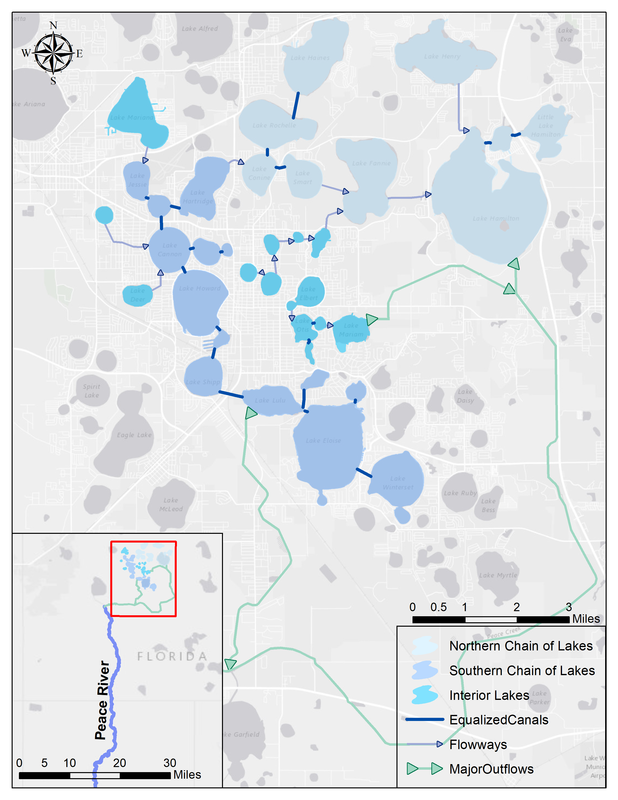 There are two connected chains of lakes; the Northern Chain has 9 lakes and the Southern Chain has 16. 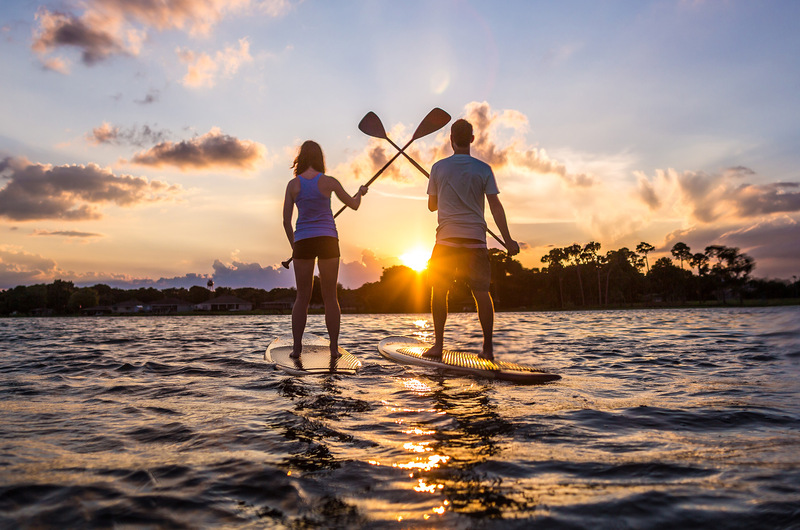 In addition, there are 13 interior lakes, which are not connected via navigable canals to the Chain but which contribute to the water of the region, which flows to the Peace River and eventually out to Charlotte Harbor. Most lakes in Winter Haven are ‘solution lakes’, which means that they formed in the same manner as sinkholes form – through the dissolution of limestone and the eventual collapse of the overlying land surface. Winter Haven is known as “The Chain of Lakes City”. This arose out of a Vision by Design initiative beginning in the year 2000 by the Chamber of Commerce which prioritized our water resources as a benefit to our economy, culture, and environment. For many of our residents, our lakes are a prized resource providing recreation and enjoyment of natural scenery and wildlife. Together with the community, the Natural Resources Division works to ensure that our lakes, and their hydrological and ecological systems, are managed responsibly going into the future. To this end, the Sustainable Water Resource Management Plan was developed in 2010 as a long-term planning approach to water resource management in our region, taking into account water supply, quality, flooding and natural lake systems. This plan was a collaborative effort with the public and outside partner organizations, governmental and private. It outlines an approach to restoring the hydrology of our lake systems, considering the history of drainage and discharge practices which have altered lake levels and impacted water quality. The goal of the plan is to guide proper resource planning to ensure enough water is available for all uses, including people, industry, agriculture, and the environment. Click the links below to review the full contents of the plan. A summary document is provided at the top of the list.